Alan Yorinks shared on Arduino Community on Gplus a physical computing environment he created to make it easier for 10 and 11 year old’s to start playing. He picked up an Arduino Esplora, and wrote some software so that it could be controlled from the Scratch and Snap! graphical programming languages. 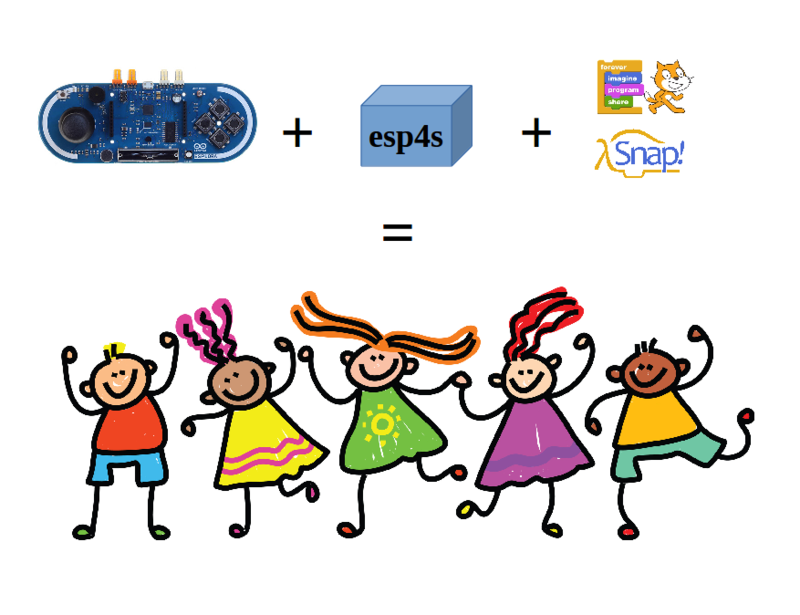 According to Alan, the Arduino Esplora has on-board integrated sensors, actuators and make it a perfect match for the graphical programming languages that the kids love to use. By combining an Arduino Esplora microcontroller with the esp4s library and either the Scratch or Snap! programming languages, that first line of code can be written in minutes! Take a look at his documentation on Github. This board is perfect for educational purposes, and thanks to [Daniel]‘s optimizations, it can be built and tested at at home. It seems that there is a shortage of programmers who can do embedded systems (which is what computer engineering is mostly about these days). Critics lay much of the blame for the embedded programming gap at the doorstep of university computer science departments that have tended to migrate curricula toward trendy programming languages like Java at the expense of unglamorous tasks such as how to design and analyze algorithms and data structures. The problems start early in the curriculum. Too often an introductory Computer Science course will fall into one of two extremes: either focusing on the syntactic details of the programming language that is being used—“where the semicolons go”—or else treating programming as a matter of choosing components and plugging them into a GUI. The basics—how to design and analyze algorithms and data structures—are covered summarily if at all. Software methodologies such as Object Orientation that are best approached in the context of the development life cycle for large applications, are introduced through trivial examples before their benefits can be appreciated: the proverbial cannon that is used to shoot a fly. I’m not so sure that I believe in Robert Dewar’s proposed solution, though, as he suggests having students do more high-level design (software architecture, rather than nuts-and-bolts programming), which is in direct opposition to his claim that students should be getting more training in low-level languages like C.
Robert Dewar also makes an argument for group work at the university level—something that is common in computer engineering programs, but apparently rare in computer science programs. At UCSC, I know that all computer engineers, electrical engineers, and game design majors are expected to do group senior projects, and some of their other classes (such as mechatronics) are also group projects. I think that the lack of group projects in many CS courses is not so much tied to Dewar’s idea “a perhaps regrettable staple of the educational process is the need to assess a student’s progress through a grade, and a team project makes this difficult” as it is to the problem of scale—a group project is only reasonable when the project is too big to be done more efficiently by a single person. Creating and managing such big projects in lower-level classes would be a major undertaking, particularly in the short time frame of a quarter or semester, when a lot of things other than group dynamics need to be learned. Pasting a group structure onto tiny project would make things worse, not better, in terms of training students to be effective in groups (see Group work). Some entrepreneurs have addressed the problem by starting up “initiatives like Barr’s week-long, hands-on Embedded Software Boot Camp.” The idea is to take programmers who already have degrees and supposedly know C and train them specifically in the skills needed to do real-time programming. The cost is not small ($3000 for 4.5 days, if you register early). I started saying this over a decade ago. I even did embedded stuff in my 3rd year data architecture course—my department was uninterested, and the students had a real hard time wrapping their heads around the thought that there are places where resources are limited. The department fought me when I said that students needed to learn more than one language (Java). The department disagreed when I said that students should learn how to program for environments where bloated OO methods might not work (… But, the ARE no places where efficiency matters!!! It’s all about “Software Engineering”!). The students had NO idea what it meant to program for a machine that had no disk, only memory. Part of the reason CS departments are seen as being so out of touch is BECAUSE THEY ARE!!! University should not be about job training, BUT it is also NOT about teaching only those things the faculty find interesting. Struggle continues to plug embedded programming gap | The Becker Blog. I know that there have been struggles between the computer science and computer engineering departments at UCSC about what programming language to teach first, with the computer scientists arguing for Java and the computer engineers arguing for C and assembly language. Eventually they reached a compromise (which has been stable for about a decade), with the computer science students taught Java first and the computer engineering students taught C first, then both making transitions to the other language. I think that both approaches work, but the strengths of the resulting programmers are somewhat different. For device drivers and small embedded systems, I’d bet on the computer engineers, who have a better grasp of low-level details, interrupts, and hardware/software interactions. For more complicated projects, I’d want one of the computer scientists doing the high-level programming, teamed with computer engineers to do the detail work. I actually don’t like either C or Java as a first programming language. I think that students would be better off starting with Scratch, which gets them quickly into multi-threaded code, real time operation, and race conditions, without burdening them with a lot of syntax. Then they can switch to Python to learn about code syntax, types, and objects, without the burden (or support) of compile-time type checking. After that they can switch to Java to learn about declaring all their data structures and having very rigid type rules (useful for bigger projects to make interfaces between different design groups more explicit). In parallel with learning Python and Java, they should learn C and C++ in the context of the Arduino microprocessor (or similar small microprocessor) to control real-time physical systems. The computer engineers could even skip Java, and learn their rigid type systems strictly in C++ (which they are more likely to use later), though Java is cleaner and makes the learning somewhat easier. Computer scientists should not stop with this handful of languages, though, as they are essentially all Algol derivatives. The CS students should also learn a couple of languages that come from different lineages (LISP or Haskell, for example). Digital DJ controllers let would-be grandmasters get up to all sorts of fancy new tricks, but if you're one of those old dogs who can't be taught, then this PC-fan-come-DJ-turntable might tickle your fancy. Connected to an old-school personal cassette via an Arduino, with a little voltage level smoothing in the mix, moving the fan "scratches" the audio, by controlling the speed of the tape player. The initial plan was to have the fan spinning with the music, like a real turntable, but as you'll know if you've ever caught your finger in one of these things, it's probably best it didn't work out. Despite its home-made charms, one final flourish is VU style LEDs for some mixer-style visual feedback. Alas, there's no built in cross-fader, so don't start work on that DMC routine just yet. PC Fan hack lets you scra... scra... scratch analog audio, ah-yeah (video) originally appeared on Engadget on Tue, 22 Nov 2011 04:29:00 EST. Please see our terms for use of feeds. Small S4A (Scratch for Arduino) program that detects when a button is pressed. I used a pull-up resistor, so pressing the button pulled the signal low. Since that is a very standard circuit, I object somewhat to the "Sensor pressed" terminology. It should say either "Sensor Digital1" (since the value is Boolean) or "Sensor Digital1 high"—the "pressed" word is misleading. There is a project now that combines two of my favorite tools for teaching about computers: Scratch for beginning programming and Arduino for beginning embedded systems and microcontrollers: Citilab – Projecte Scratch. 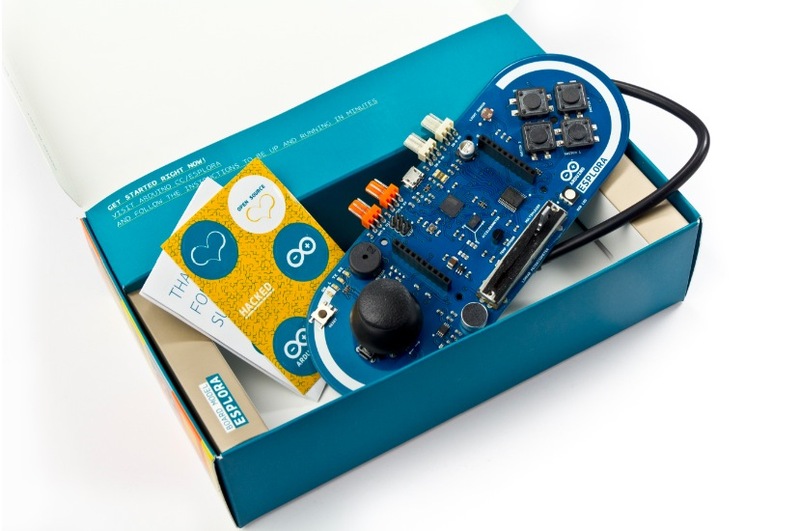 The project appears to be from Spain, as the main page of the site is in Catalan, though the Arduino page is in English. The configuration offers 6 analog inputs (analog pins), 2 digital inputs (digital pins 2 and 3), 3 analog outputs (digital pins 5, 6 and 9), 3 digital outputs (pins 10, 11 and 13) and 4 special outputs to connect Parallax continuous rotation servomotors (digital pins 4, 7, 8 and 12). They had to modify Scratch a little to add blocks for the I/O (similar to the official Scratch blocks for the “Scratchboard” which is not nearly as versatile as the Arduino). It would be nice if the S4A modifications made their way into the official version of Scratch, as the Arduino and Scratch communities are natural allies in making computer science and computer engineering more accessible to non-specialists. There are some mistakes they made. For example, they put all the Arduino blocks with the “motion” blocks, though it would have made more sense to have a new page of blocks (or to have spread them between the motion and sensing pages). They also refer to digital inputs pin 2 and 3 as Digital1 and Digital2, and to Analog pins 0 through 5 and Analog1 through Anlaog6. I think that they need to make their Scratch programs consistent with the labeling on the Arduino board! 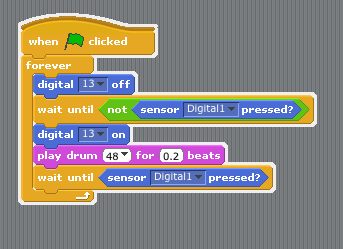 The digital outputs are correctly labeled 10, 11, and 13, but they have separate blocks for On and Off, which is not as nice as a single block that can set the digital output to a Boolean (though Scratch would have to have constants <True> and <False> for that to work well). 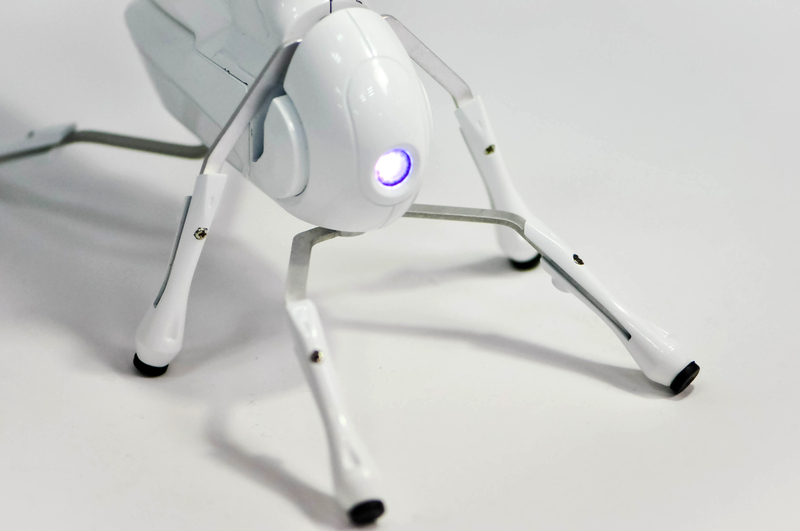 I’ll be sharing S4A with the robotics club, as it looks like a fun thing to play with, even if there are some minor design flaws.